United Nations : UN Secretary-General Antonio Guterres on Wednesday announced the appointment of Norwegian diplomat Geir Pedersen as his new special envoy to Syria, media reported. Pedersen will replace Staffan de Mistura, who plans to leave the post at the end of November, after just over four years of unsuccessful attempts to mediate negotiations to end the conflict in the Arab country. In a statement, Guterres stressed that the new envoy "brings to the position decades of political and diplomatic experience." In 1993, Pedersen was part of the Norwegian team that participated in the negotiations leading to the Oslo Accords between Israel and the Palestine Liberation Organization. 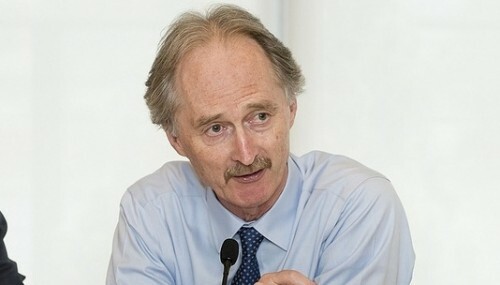 Pedersen will be the fourth special UN envoy to Syria since the war in that country started in 2011. The first envoy, former Secretary-General Kofi Annan, left the post after only a few months, frustrated by the lack of cooperation from the parties to the conflict. His successor, Lakhdar Brahimi, held the post for a little less than two years. Meanwhile, De Mistura, a veteran diplomat, said that he was resigning for family reasons, but during his four years in the post he was not able to achieve much progress either.